DISCLAIMER:The moderator does not assume total familiarity for graduates of Borbon National High School. 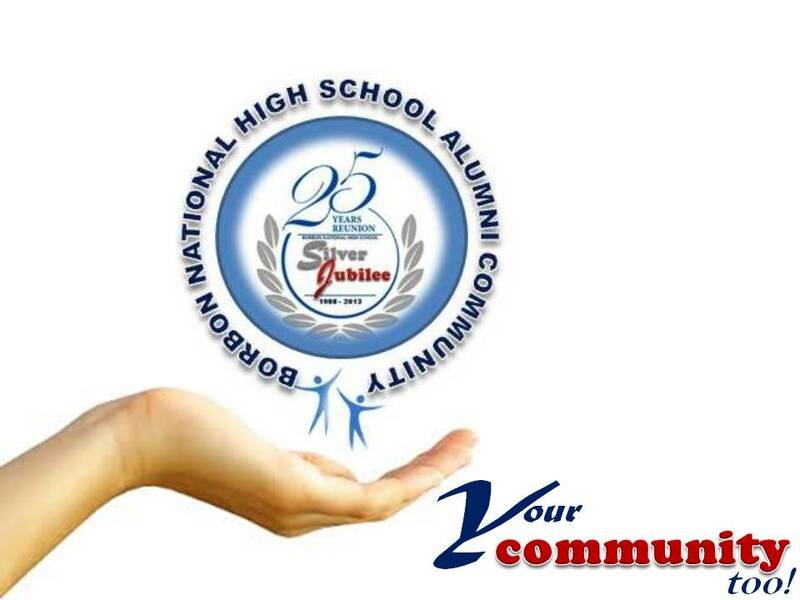 The list of BNHS alumni published herein merely based from collective information submitted to us vide chats and/or notifications posted on fb discussion threads. We deem it fitting to disclaim that details provided are unofficial and subject to change without prior advice. Therefore additions or deletions of names already listed may be apparent. Hence, we ask all alumni to help us complete our alumni community list. You can also introduce your classmates to the rest of our alumni community. Hit that keyboard now and send us your name or your classmates name so we can include it here. Below is the unofficial list for BNHS Alumni as of this posting date, 4th July 2013. Please refer to the most recent updates of our alumni list according to posting date & cut-off. Thanks!